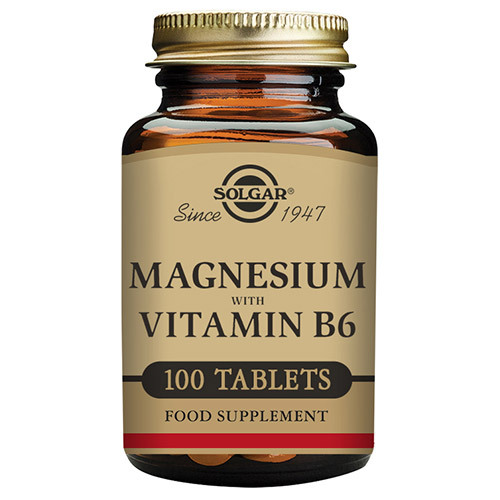 Solgar® Magnesium with B6 complex is a convenient, cost effective formula. With the inclusion of B6, which contributes to hormonal balance, this formula is often recommended for women’s health. 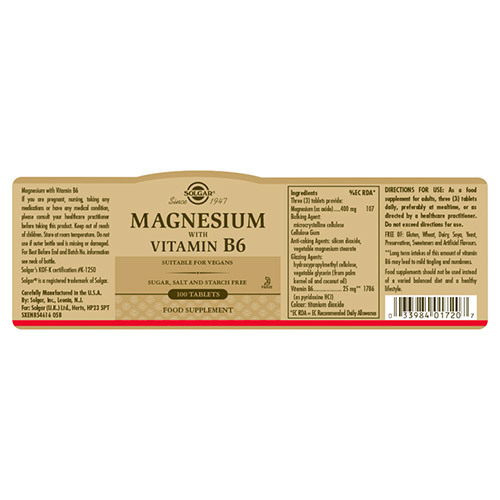 The combination of magnesium and B6 provide a variety of general wellbeing benefits for everybody. 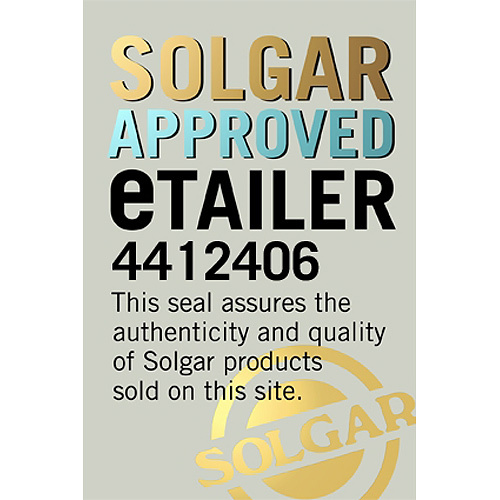 Also contains: Bulking Agents: Dibasic Calcium Phosphate, Microcrystalline Cellulose, Cellulose Gum, Anti-Caking Agents, Stearic Acid**, Magnesium Stearate**, Glazing Agent: Hydroxyproplmethyl Cellulose, Colour: Titanium Dioxide, Vegetable Glycerin. Magnesium (as oxide), Vitamin B6, Bulking Agents: Dibasic Calcium Phosphate, Microcrystalline Cellulose, Cellulose Gum, Anti-Caking Agents, Stearic Acid**, Magnesium Stearate**, Glazing Agent: Hydroxyproplmethyl Cellulose, Colour: Titanium Dioxide, Vegetable Glycerin. A food supplement for adults, take three tablets daily, preferably at mealtime or as directed by a healthcare practitioner. Do not exceed directions for use. 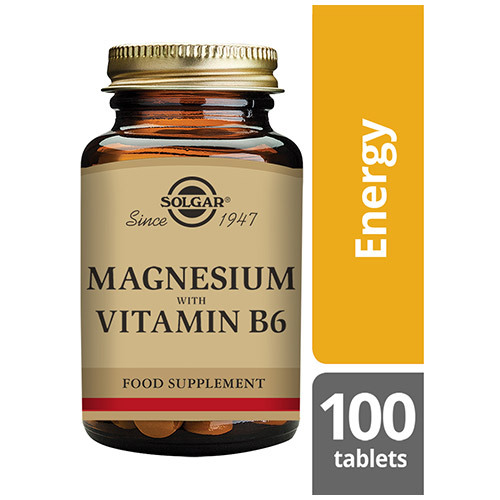 Below are reviews of Solgar Magnesium with Vitamin B6 - 100 Tablets by bodykind customers. If you have tried this product we'd love to hear what you think so please leave a review. My doctor recommended this for heart also help if you have a cramp ..